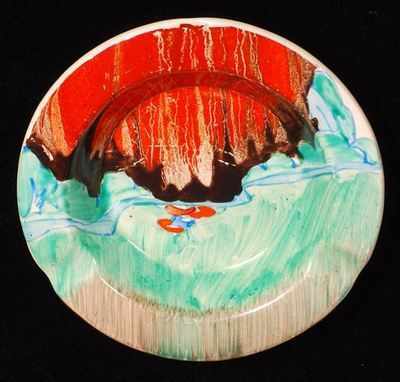 Ashtray in the Forest Glen pattern.Size is 4.5 inches wide. No damage or restoration. Signed Clarice Cliff. Price £215.